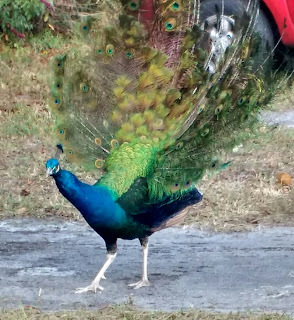 This beautiful peacock is stepping out with a most needed angel message. It's time to put our best foot forward and unfold our beautiful wings. This hurting world needs our loving kindness and prayers now, so be on the watch. And like the Angels, we can choose to share a warm smile, a comforting word, or a gentle hug with those we meet as we go about our day.